Mark your calender for the 9th Worship & Liturgical Conference of the World Federation of Chinese Methodist Churches from 12 to 14 July 2018 @ Telok Ayer Chinese Methodist Church, Singapore! The theme for 2018 is The Living Power of Life's Liturgy. 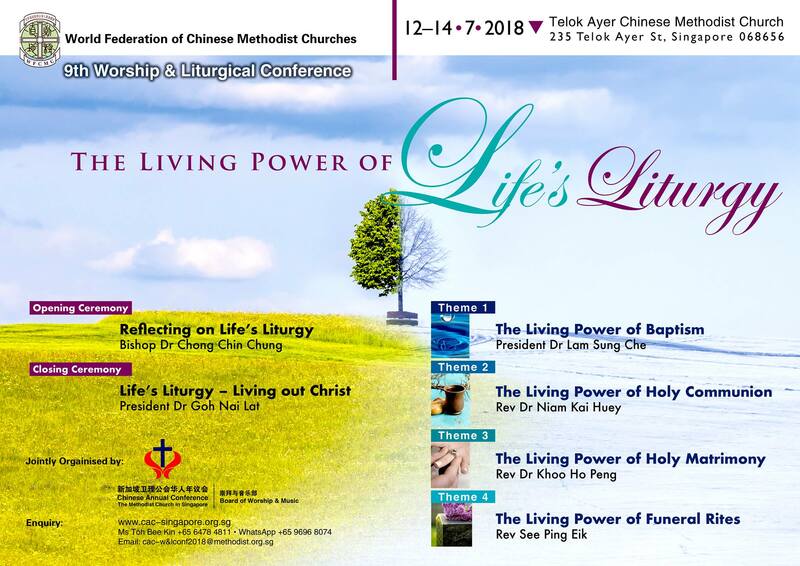 Jointly organised by Chinese Annual Conference (CAC) and CAC Board of Worship & Music, for enquiries or more information, please visit www.cac-singapore.org.sg, contact CAC Office at cac-w&lconf2018@methodist.org.sg or call +65 64784811.